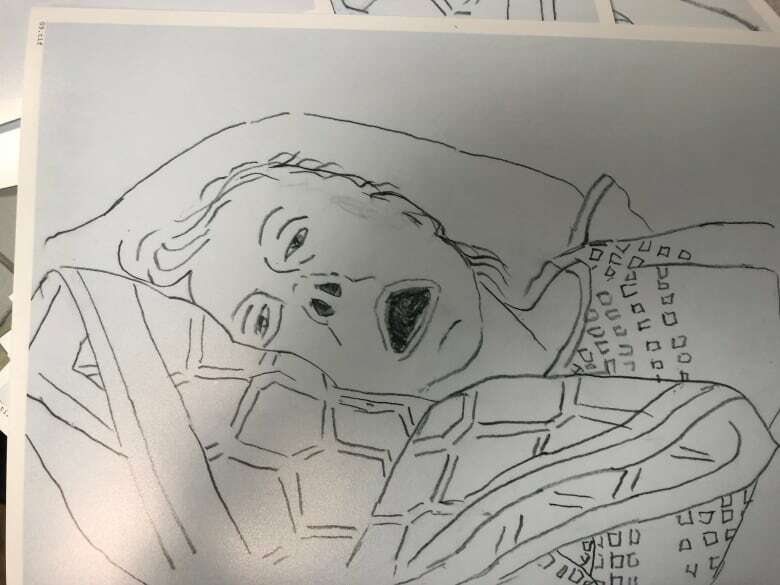 For 20 years, Scottish artist and medical researcher Mark Gilbert has been drawing pictures of people at the most traumatic moments of their lives. He started in one of London's busiest hospitals, drawing people's heads during operations, sketching severely disfigured individuals, and illustrating people with facial diseases and cancers. "My fear was through the roof beginning in that project," he told The Current. "I had no experience of illness myself." Then, two years ago, his mother's health began to deteriorate when she suffered a stroke. She'd already been living with dementia. Mark's father, Scottish painter Norman Gilbert, began sitting at his wife Pat's bedside and drawing her. At first, Mark wasn't ready to look at his father's drawings. But over time, he said, it's helped him deal with his mother's death. 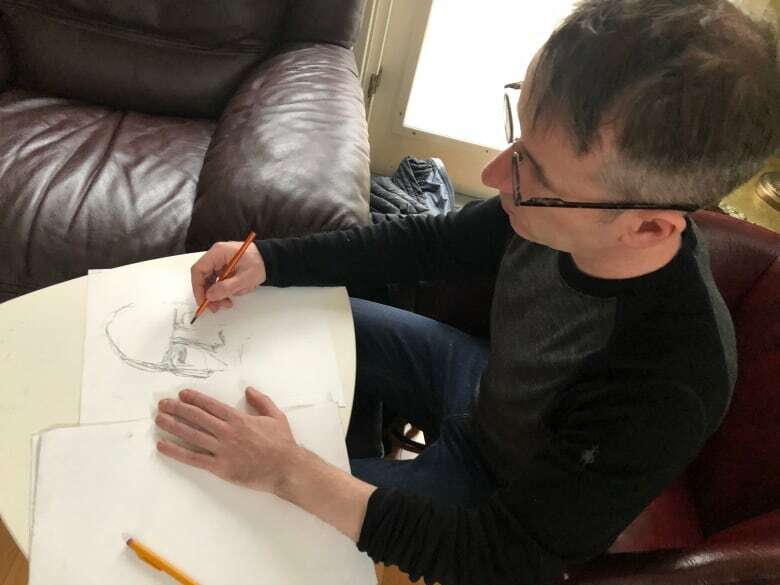 Now, Mark is in Canada, where he is working under the supervision of Dalhousie University's Dr. Ken Rockwood and the Nova Scotia Health Authority. 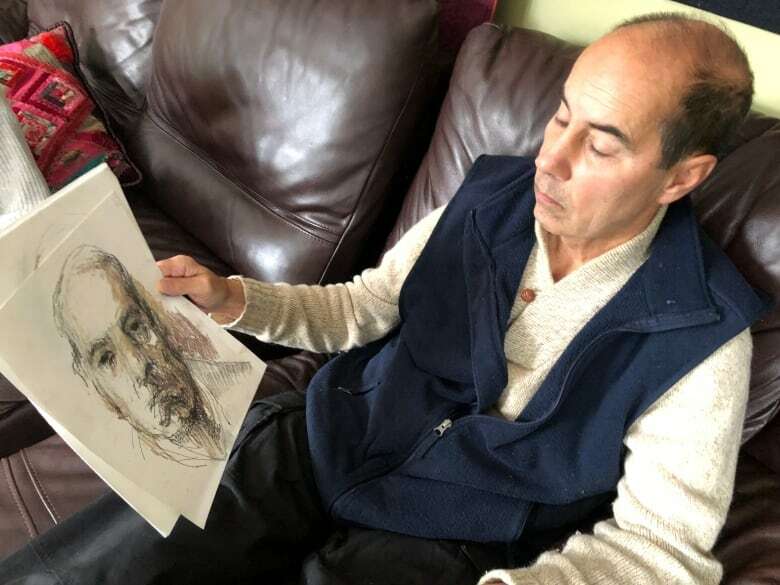 He draws portraits of dementia patients and their caregivers in hopes of inspiring compassion among medical students, and the public, for people living with the disease. 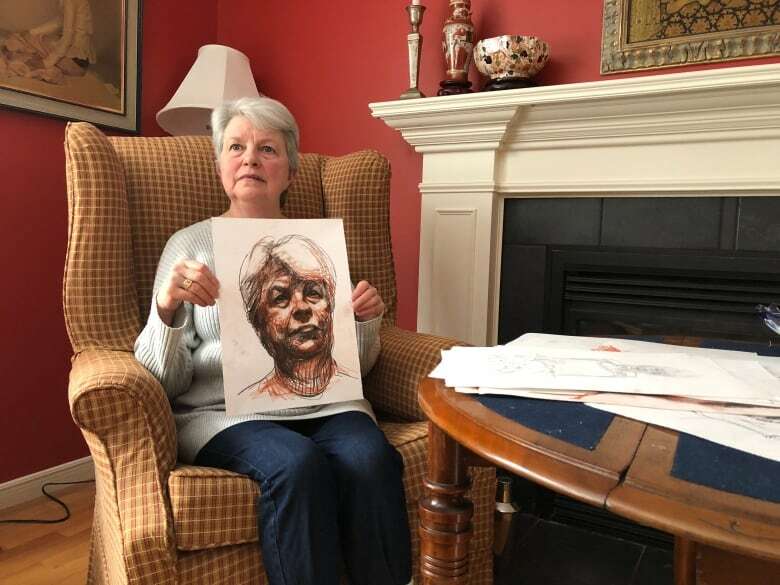 At Margaret and David Quinlivan-Hall's home in Lower Sackville, N.S., Mark gets to work on two such portraits. David was diagnosed with dementia at the age of 59, when two of the couple's six children were still in high school. The family has been living with the disease for nine years now, and Margaret is his caregiver. 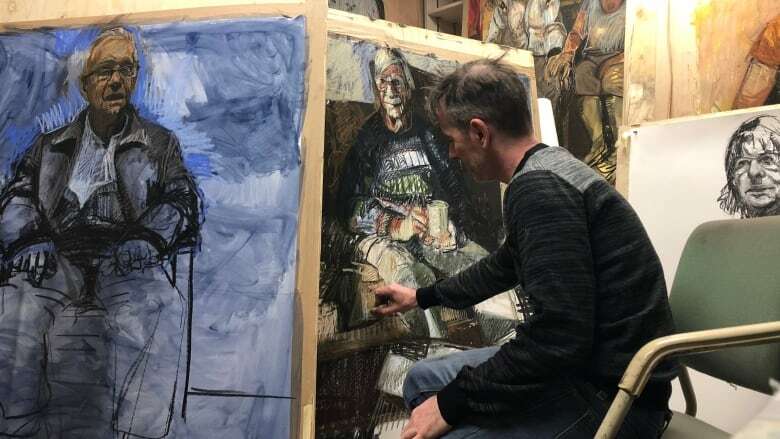 As Mark sketches each of them, his goal is not likeness, but "making sure that the marks you're making are as honest a response to who's in front of you as possible," he said. When Margaret looks at the squiggles that have turned into her portrait, she notices a down-turned mouth and sorrowful eyes. She notices the same in her husband, and that the disease has made him look older. "I thought when I looked at them, you know, I need to do more things to make me smile," she said. "And also that I needed more help." When Mark reflects on the portraits of his dying mother, he said he's grateful for how it's allowed him and his father to speak more about her, and grieve her death. "It's taken me a great deal of time to then realize … how pictures are able to speak to people about these kind of challenging times," he said. "And I'm still learning." Written by Kirsten Fenn. Produced by Halifax network producer Mary-Catherine McIntosh.